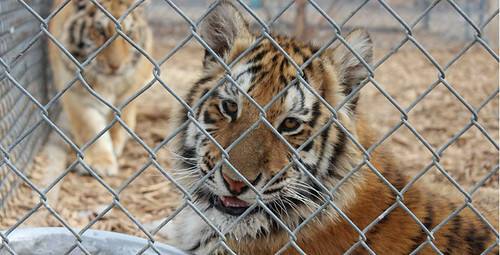 Carolina Tiger Rescue is home to at least six animals who were used for cub petting, an industry that allows the public to handle cubs. 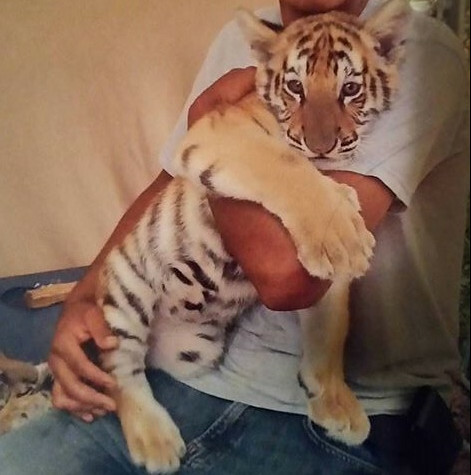 People can take pictures with or, in pay-to-play industries, pay to have other interactions with cubs. The detrimental effects on both the cub and the mother go ignored when these beautiful animals are used for profit. Many of them have to live with the scars of the industry for years to come — those lucky enough to make it a sanctuary. The cubs are only useful to businesses for four weeks of their lives, when they are small enough to handle. Once they get too large and aggressive, they are discarded to the pet trade market or roadside zoos. Some are sadly euthanized. Three of our resident tigers, Carolina, Caprichio and India, and three of our resident lions, Sheba, Roman and Reina were bred for profit. Sheba Lion, who is now 16, started her life on a leash. Her owner walked her up and down the beaches of Cancun, collecting money for people to take pictures with her. We have four other residents who were very likely used for cub petting. Saber and Shenandoah Tiger are both defanged and declawed on all four paws. These modifications are common in the industry as an attempt to make the animal safer. Both tigers will likely develop arthritis. Their teeth are filed down so far that the nerve is exposed, meaning a big-cat dentist will have to pay them a visit in the future. 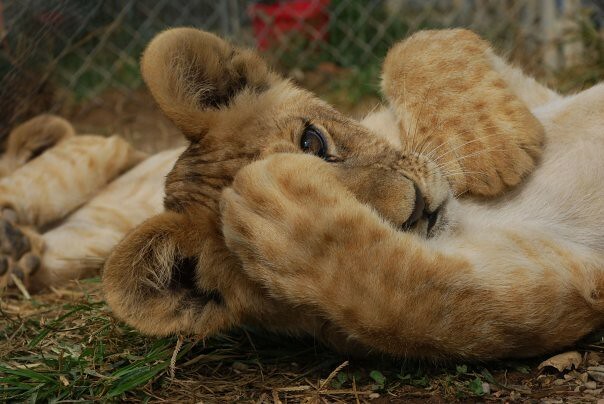 Reina Lion was bred for profit. 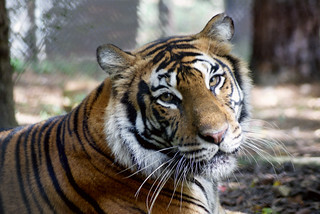 Now 9, she can live her life with dignity at Carolina Tiger Rescue. 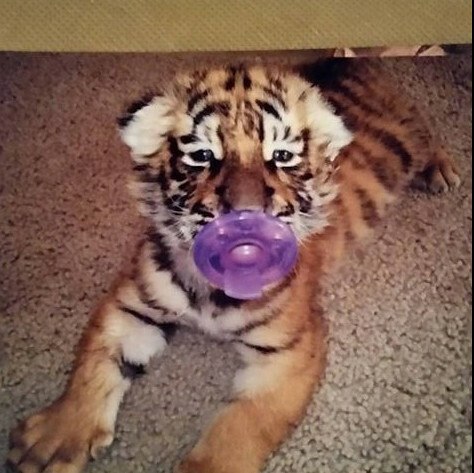 Cub petting can have other disastrous implications on animals. Many of them are underfed or fed an improper diet, which can lead to metabolic bone disease. Caprichio Tiger may likely suffer from it, as his recent X-rays showed us how bad his knees are; he’s only 7. Mothers used for cub petting are also breeding far more than what she would in the wild, draining her physically and emotionally. Her cubs are supposed to spend the first two years of their lives with her, learning how to be the predator that they will grow to be.